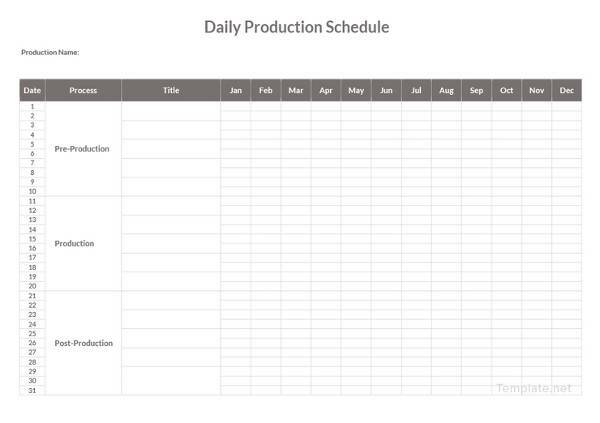 Planning and scheduling are the key essentials to achieve any goal or success. 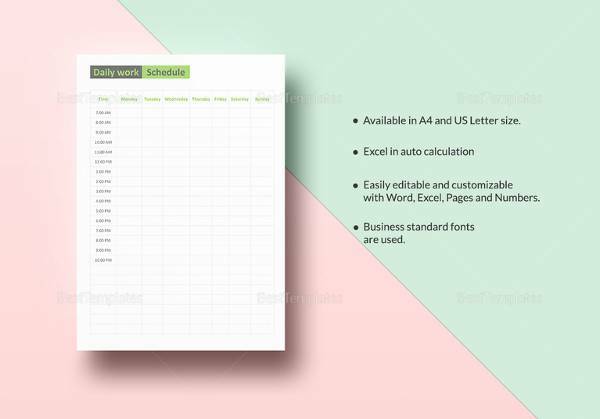 When the same concept comes into business, a business daily schedule template provides the base to manage the work flow of the organisation. 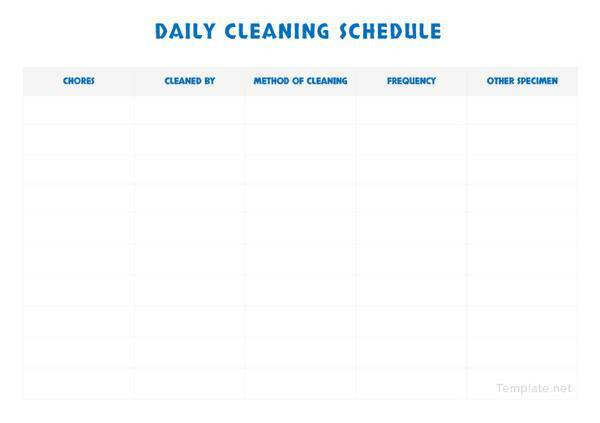 The scheduling for regular work keeps an eye on work progress and also helps in removing regular activity issues, which ultimately leads in better performance in business. 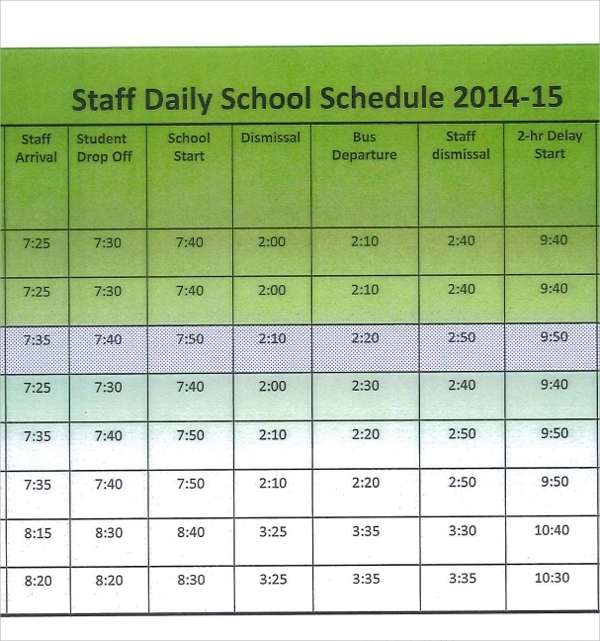 You may also see time schedule templates. 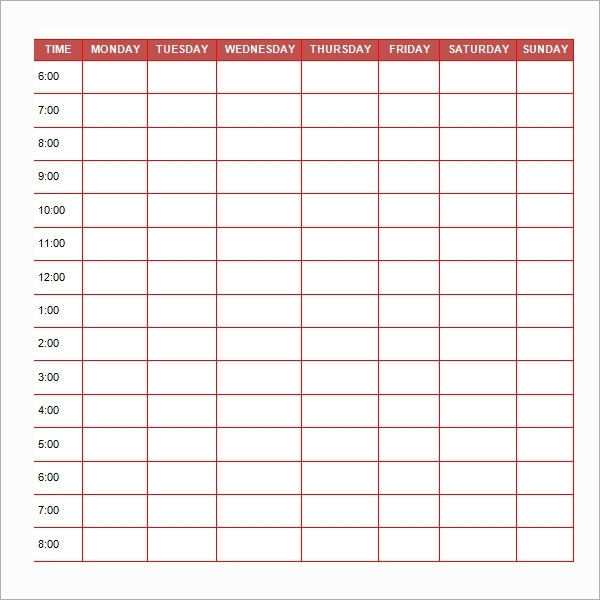 A business daily scheduling template is a planning tool which is used widely to manage and organise the regular operating activities of the business. 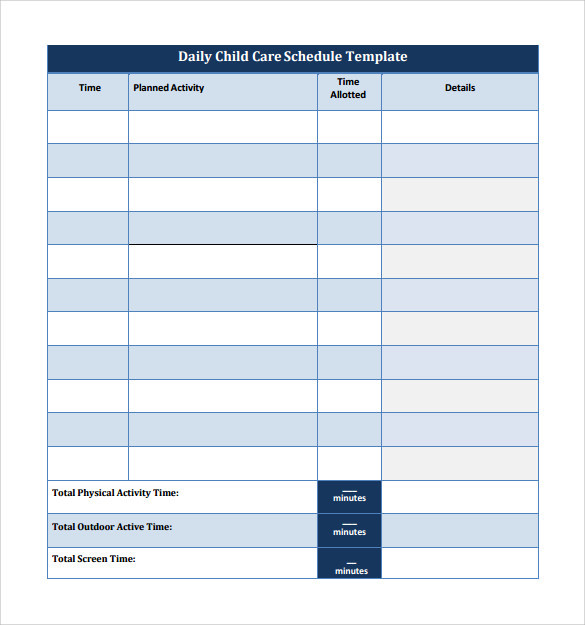 The business daily schedule template resolves the complexity involved in the projects by giving scheduled study and clear vision to lower hierarchy. 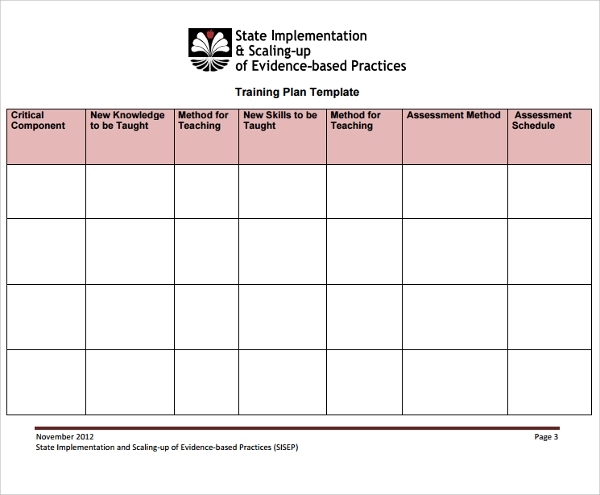 Basically, this template provides a framework to work in with the given time frame. 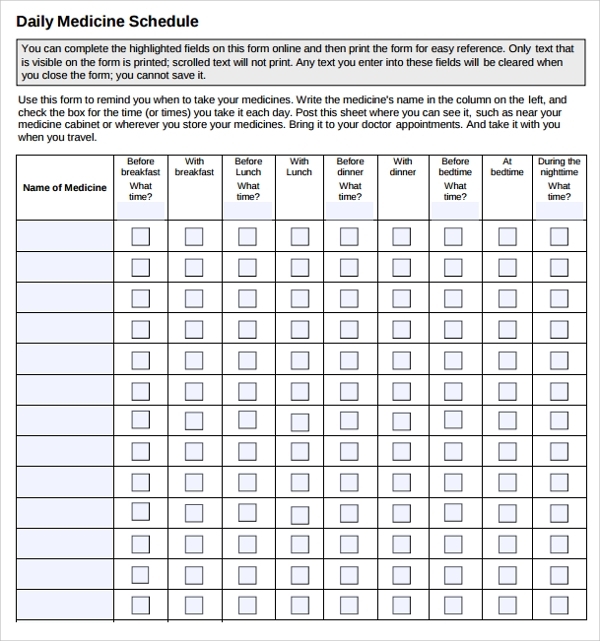 So, irrespective of the size and nature of the business, all organisations need adoption of the same.You may also see hourly schedule templates. 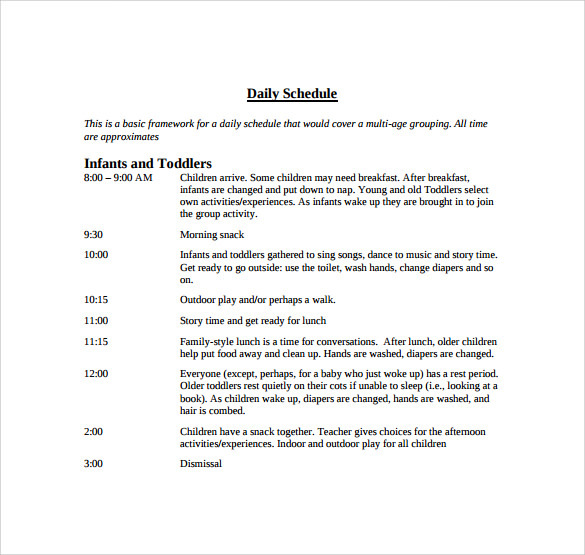 Generally, this schedule is prepared by the team leader to stop the delay in the standard project duration. 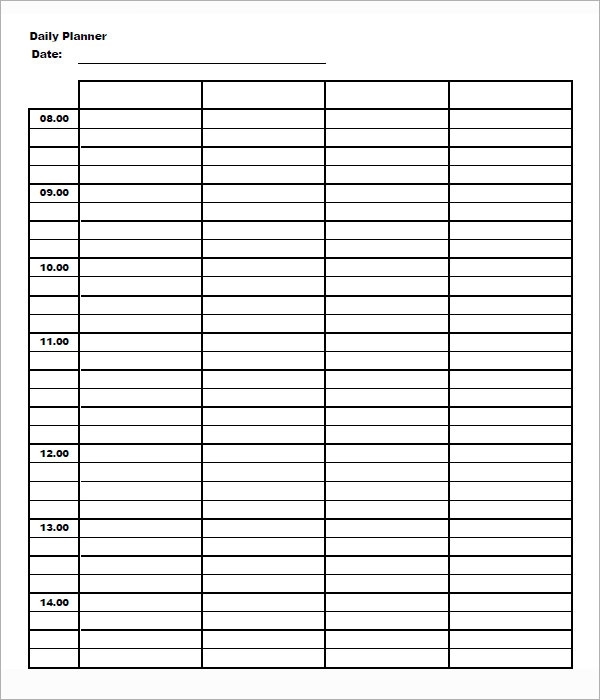 The business project daily schedule template includes the work to be done in every business hour. 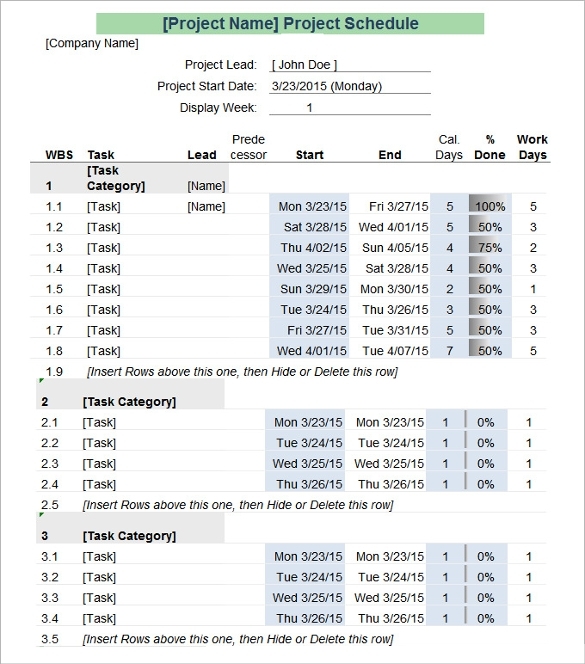 It also contains columns for the task start time and task iterating time and task end time for the convenience of the new as well as existing project members. 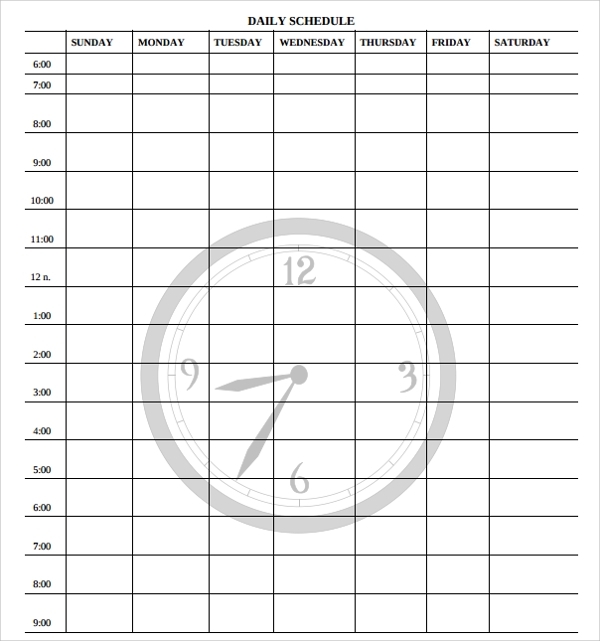 The business time daily schedule template helps in organising your regular to-do list and it contains all required columns that show the timings and duration of the task. 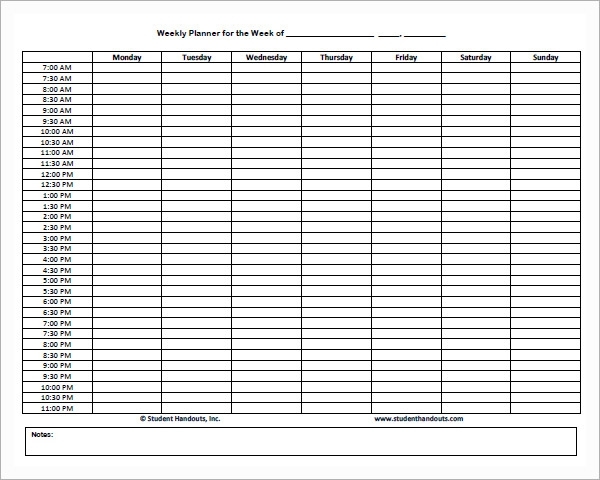 This template is available on the weekly basis, hourly basis, and for any particular time too. 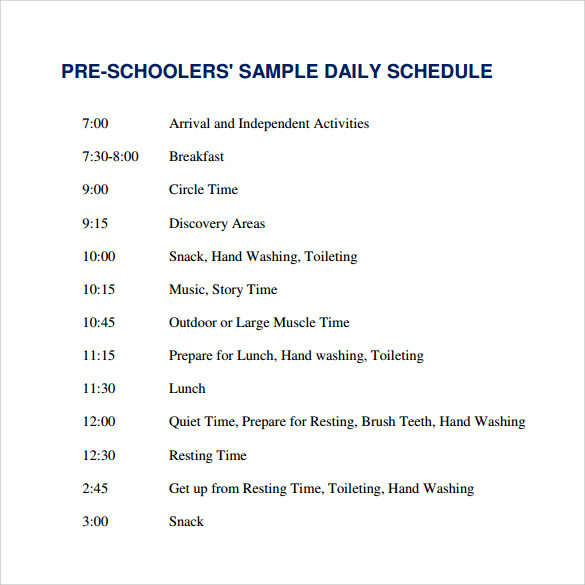 To complete the daily exercises in an effective manner, the business time daily schedule provides the base to work in punctuality.You may also see monthly schedule templates. The staff members and employees are the regular workers in any business. 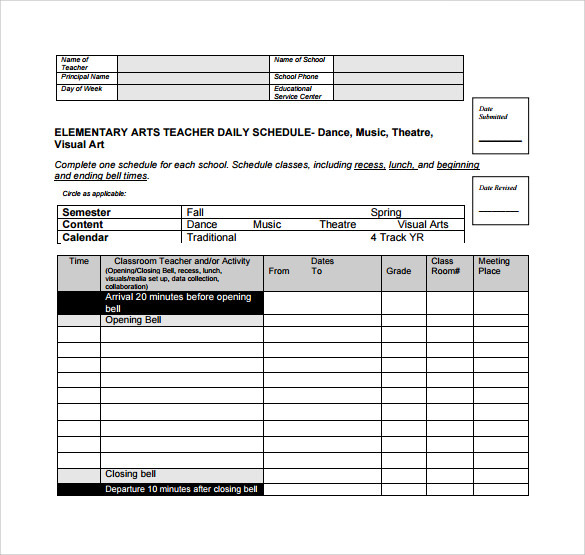 A staff daily schedule template provides the guidelines and specific timings to start and end the tasks. 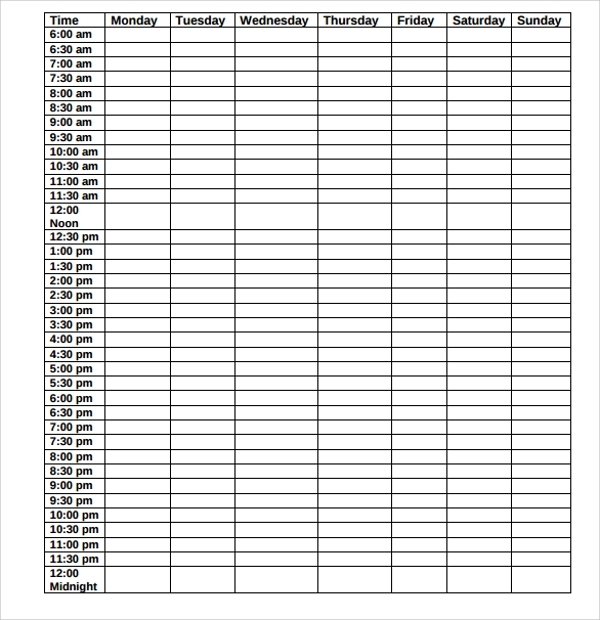 It also keeps the eye on the arrival and departure time of employees in the business hours.You may also see marketing schedule templates. The nature of business varies from an organisation to organisation. 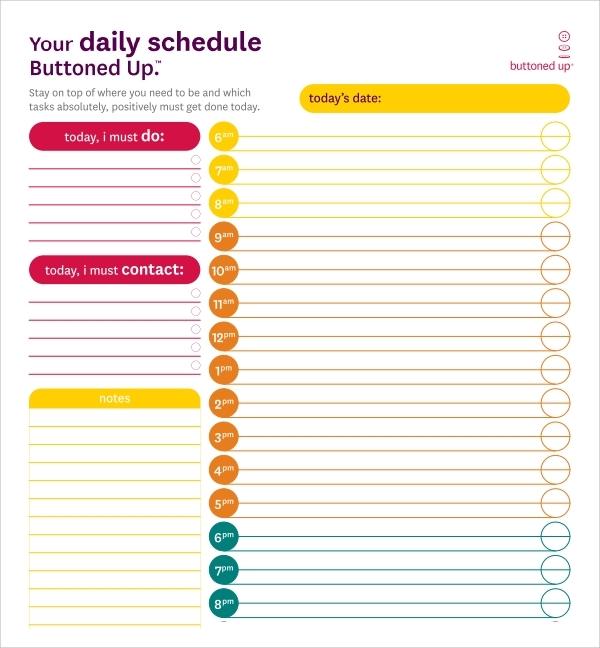 While designing the business daily blank schedule templates, the size of business matters a lot because where there are more employees; there are the high chances to have an undisciplined scenario. 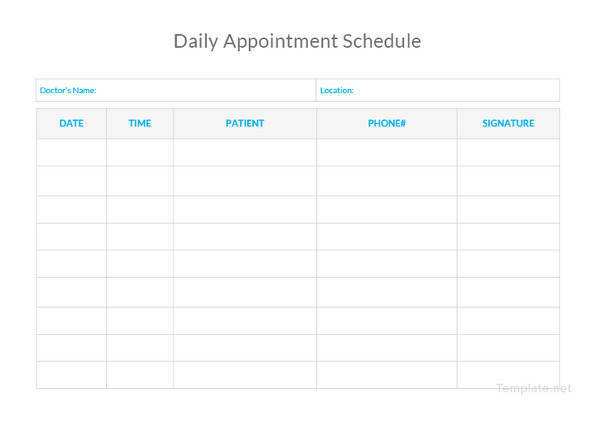 To get the works done in punctuality, the big organisations should design the daily schedule strictly. Moreover, it should be signed by the higher authority so that the pressure on the lower hierarchy can be created. 1. Easy find out the regular shortcomings which slow down the performance of the organisation. 2. 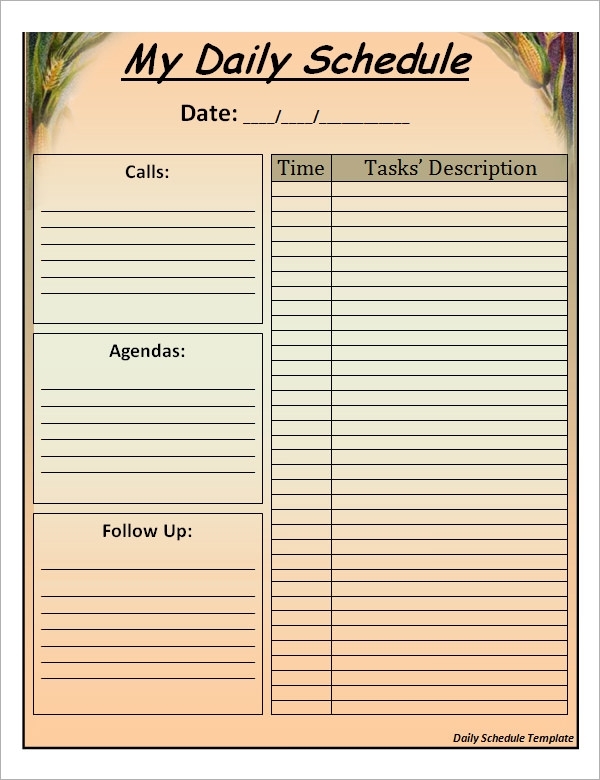 Create a friendly atmosphere among employees and staff members.You may also see interview schedule templates. 3. 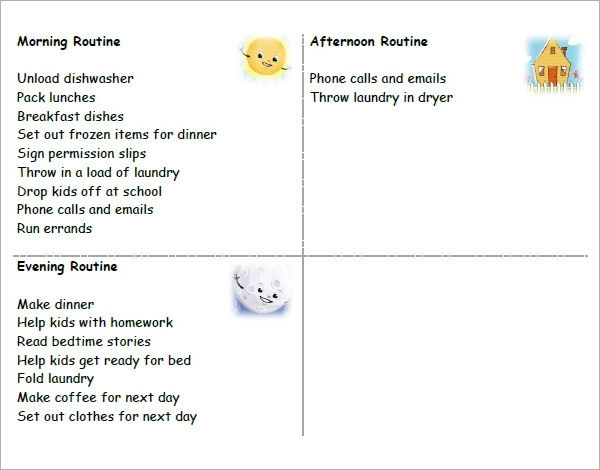 Work finishing standard time is achieved by following the regularity and punctuality. 4. 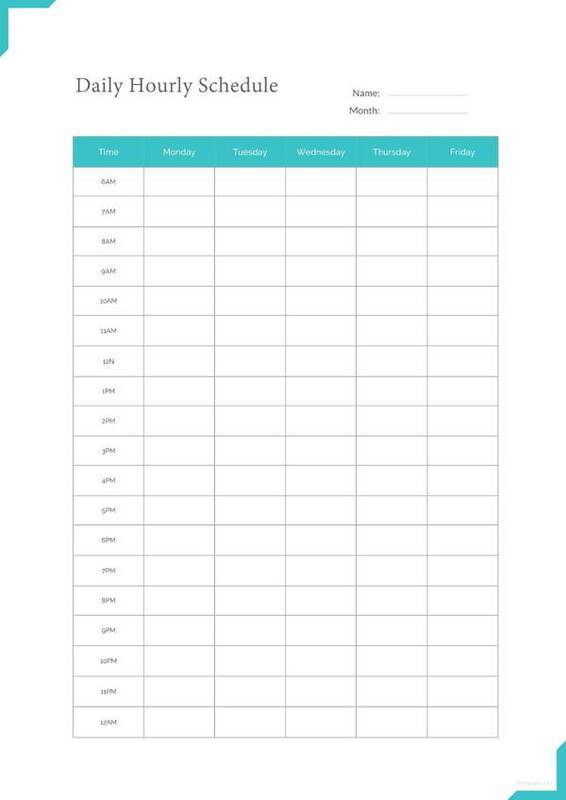 It reduces the time and cost of the projects and boosts the company’s growth rate.You may also see conference schedule templates. 5.There become lesser chances to forget any important part of the work and ultimately leads to lesser rework. 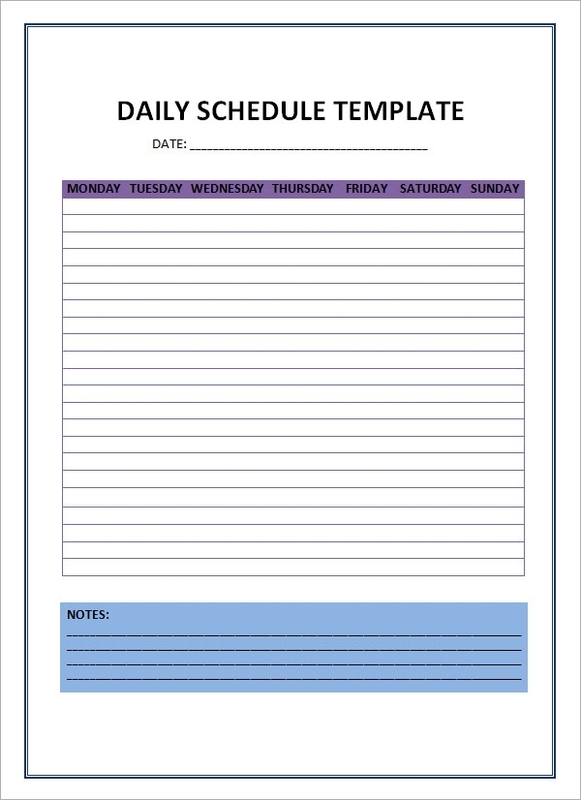 We furnish wide range of user-friendly business daily schedule template to boost the regular performance of any organisation. 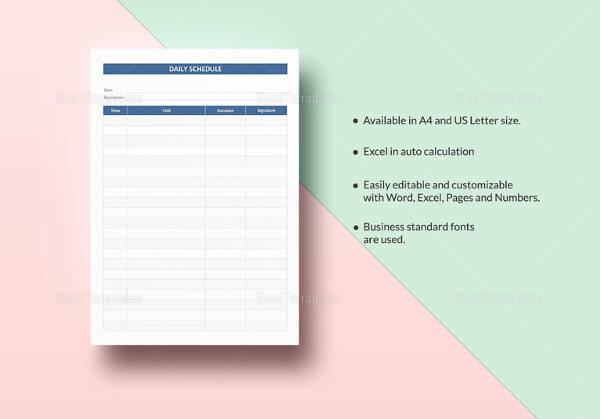 These are available and utilisable in the excel sheets as well as in the word format. 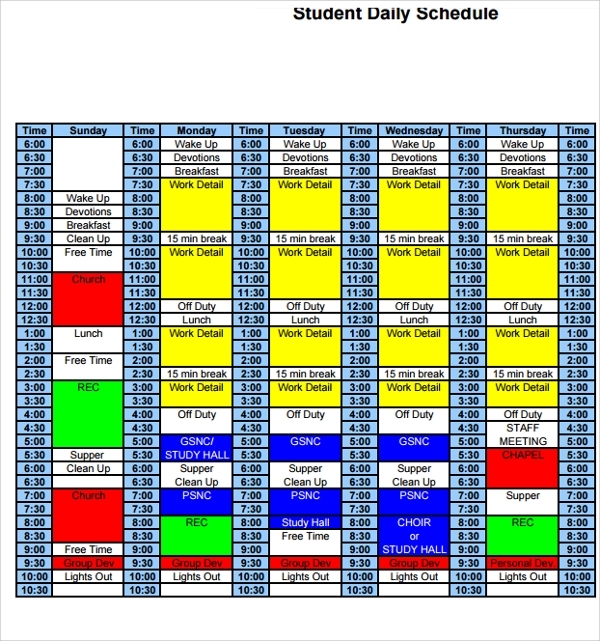 As per the certain requirement, the users can edit and modify the statements after downloading its format.You may also see staff schedule templates.